Thank you for all the support with my sale and helping me reach 150 likes on Facebook! Here is the freebie I promised! 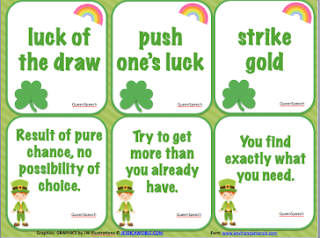 I know there are few "lucky idioms" out there, but I tried to make mine extra special and cute!